The 9.0hp Floor saw can be fitted with 12″ or 14″ (305 – 355mm) blades and can cut to a depth of 4.7″ (120mm) using a 14″ blade. 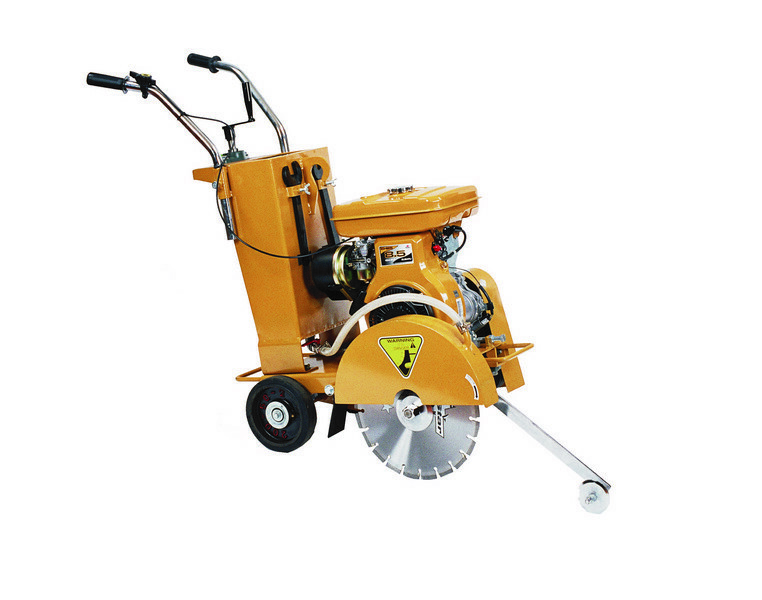 This floor saw offers high performance operation for concrete kerbing, slabs, landscaping, footpaths, re-slabbing and paving, plus asphalt and concrete surface road cutting work. ​NOTE: Please abide by the safety decals or safety instructions factsheet that is provided with this Floor Saw.